It’s finally here! Get your selves signed up for our brand new Graffiti Art Class with Recoat!! 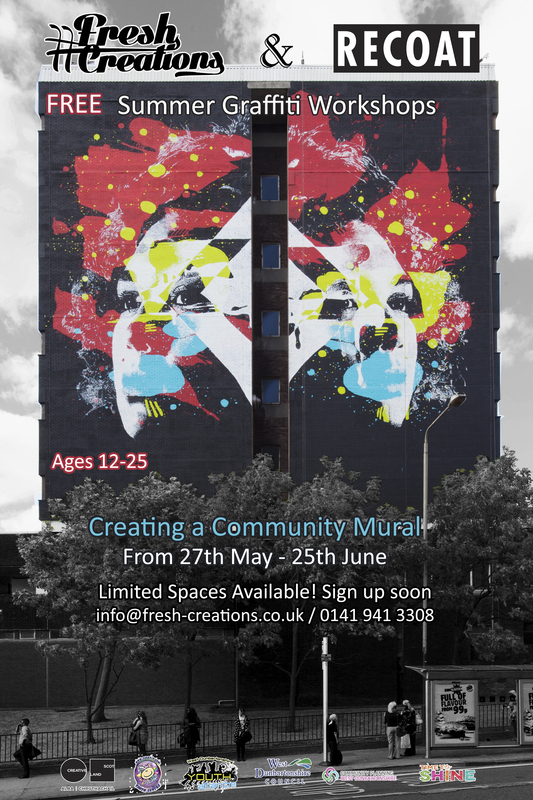 We will be designing and creating a community mural in West Dunbartonshire. We have 10 spaces to fill for each group. This programme is for 12-25 year olds and is completely FREE. Week 1, 2 & 3 will all be based in the GP room at the Clydebank Community Hub. All other locations TBC. Book your spot soon to avoid disappointment! Get in touch at info@fresh-creations.co.uk or call 0141 941 3308.